63 year/o male with a history of severe back and leg pain. 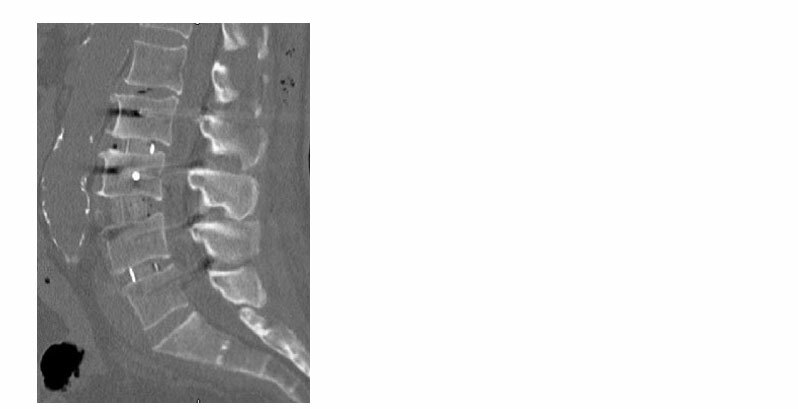 The patient described his pain as 50% leg pain and 50% back pain. He had tried multiple rounds of conservative treatment with no response. The patient was neurologically intact. 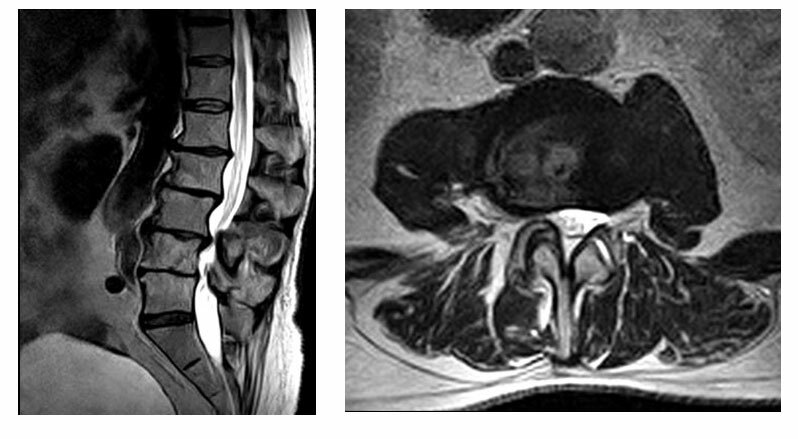 Lumbar spinal deformity with neuroforaminal stenosis. 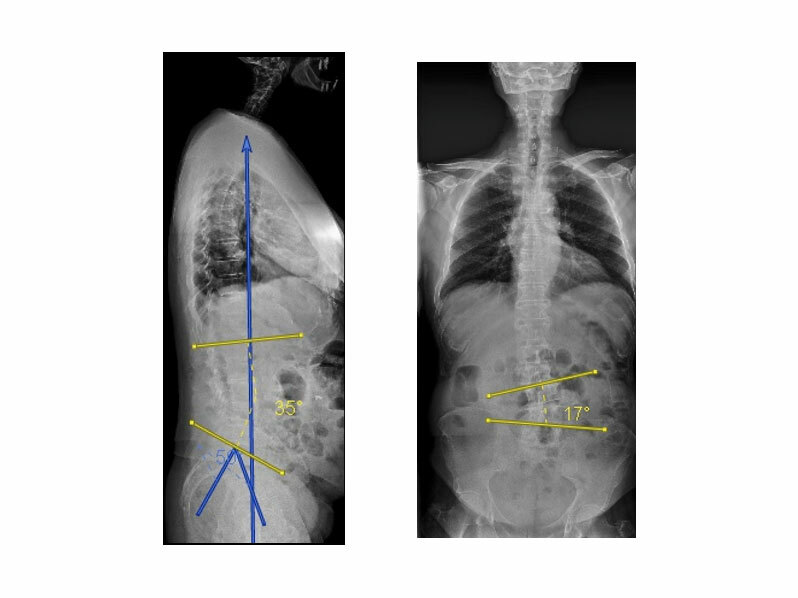 The goal of surgery was to reduce the patient’s coronal deformity, perform indirect decompression of the patient’s neuroforaminal stenosis, and to provide appropriate lordosis in a minimally invasive fashion. 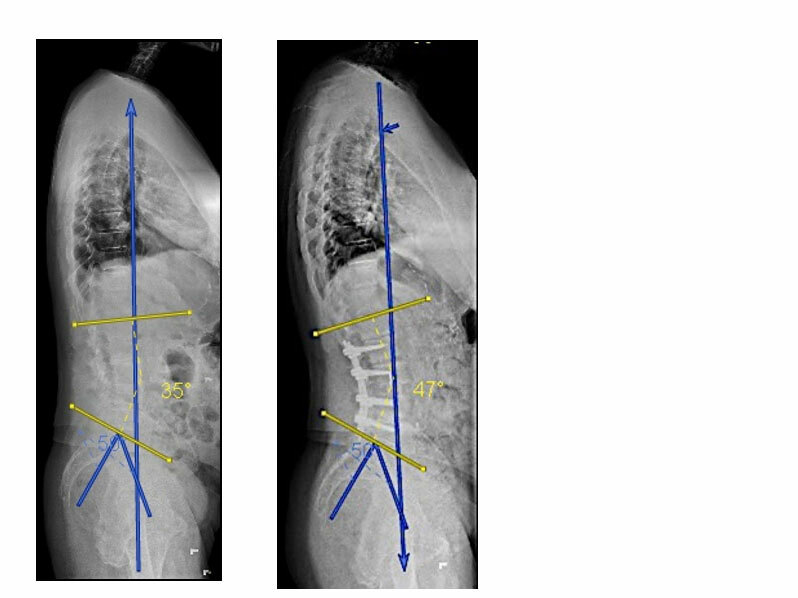 Stage 1: L2-L5 lateral lumbar interbody fusion with L3-L4 anterior column release. 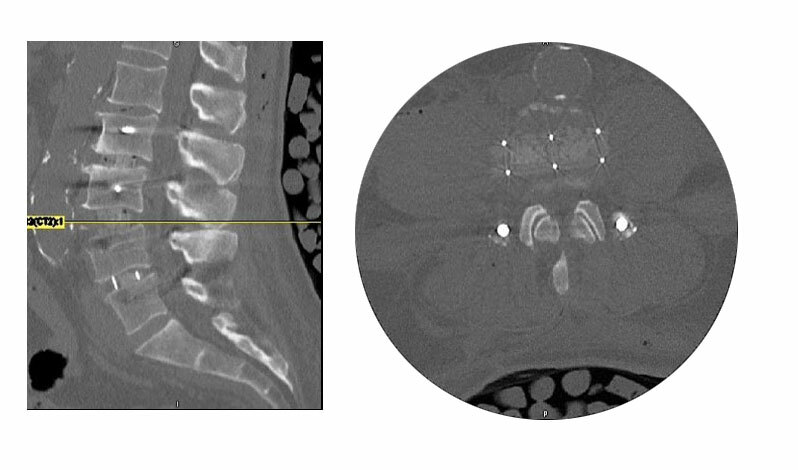 Stage 2: Posterior percutaneous L2-L5 pedicle screw fixation with the use of a computer-assisted rod bending device. 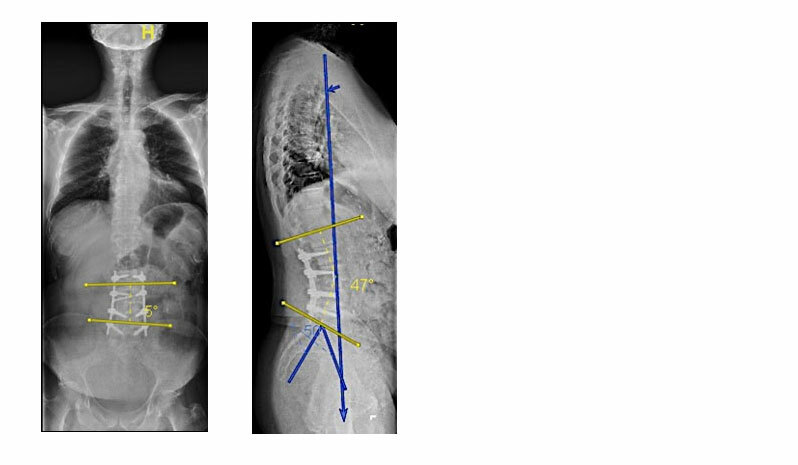 The patient had a significant and successful deformity correction with minimal soft tissue disruption and estimated blood loss of less than 200 cc. The patient was discharged home 2 days after surgery, and demonstrated significant long-term reduction in her pre-operative pain. 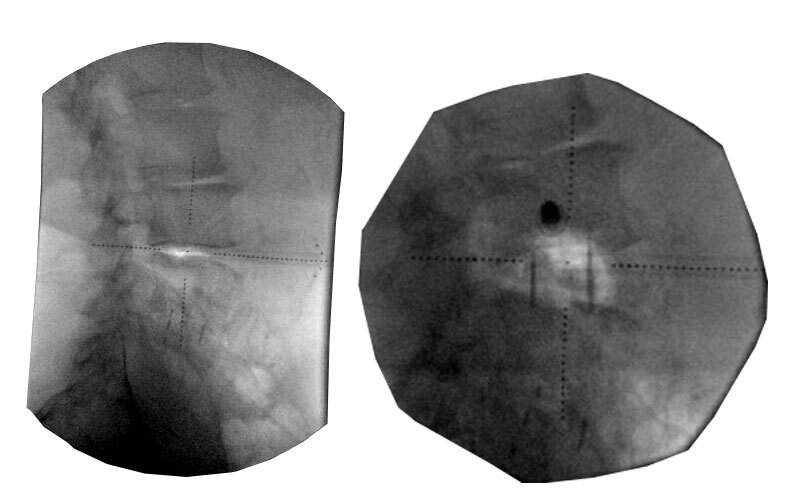 By performing a L2-L5 lateral interbody fusion, we were able to perform indirect decompression on the foramina at these levels, while also correcting the patient’s coronal deformity. 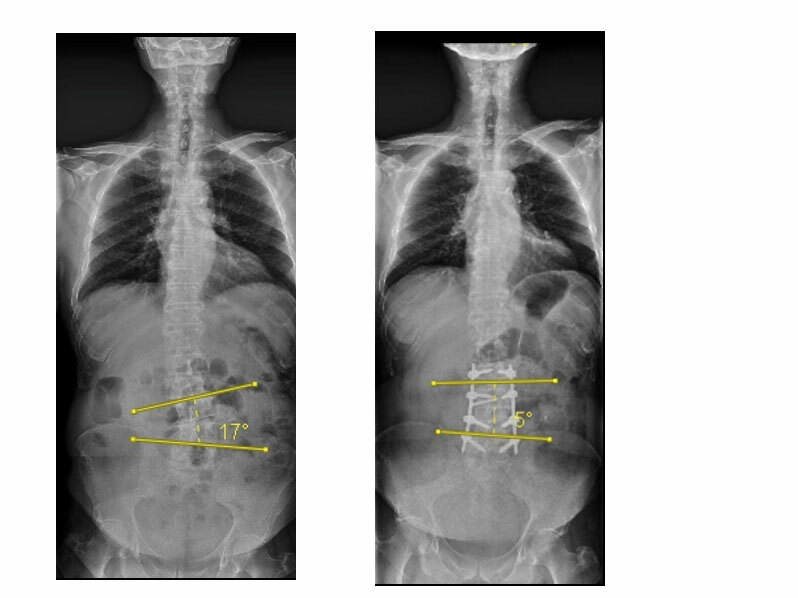 An anterior column release at L3-L4 provided enough lordosis to correct the patient’s mismatch. Use of computer-assisted rod bending allowed us to pass an appropriately contoured rod percutaneously without difficulty. All of this was performed with minimal soft tissue dissection and minimal blood loss. © SMISS-Society for Minimally Invasive Spine Surgery | All Rights Reserved 2018.